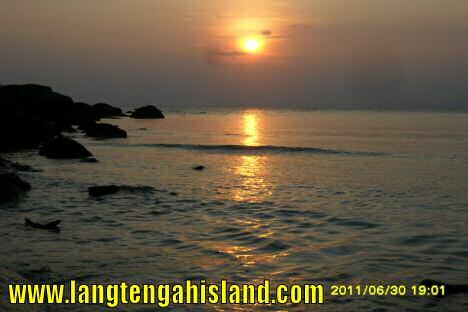 Pulau Lang Tengah or "the resting eagle on the island in the middle", between Perhentian and Redang, offers a tranquil getaway for snorkeling and diving in Malaysia’s protected east coast marine park sanctuary in Terengganu. 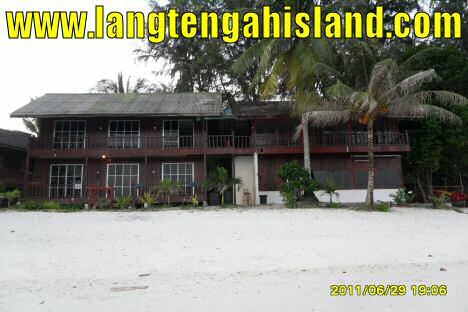 Lang Tengah is a small, uninhabited island with 4 resorts, 2 on each side of the island, listed from expensive to low budget. If you are on a budget, you could be tempted not to book a package on the expensive resorts and walk over to 1 of the 3 other resorts for food. 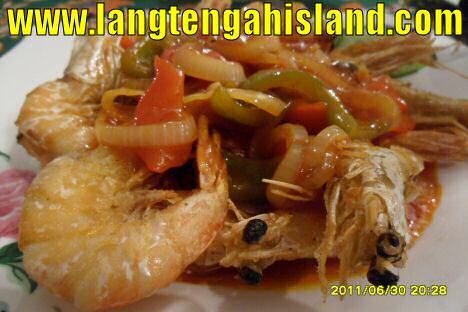 However do know that all the food on the island is brought in from the same harbour on the mainland. Personally I found the packages very good value for money. Redang Lang Resort being the most noisy of them and feels more like a community hall than a resort. Whilst snorkeling around their concrete jetty, you could spot sharks and turtles. 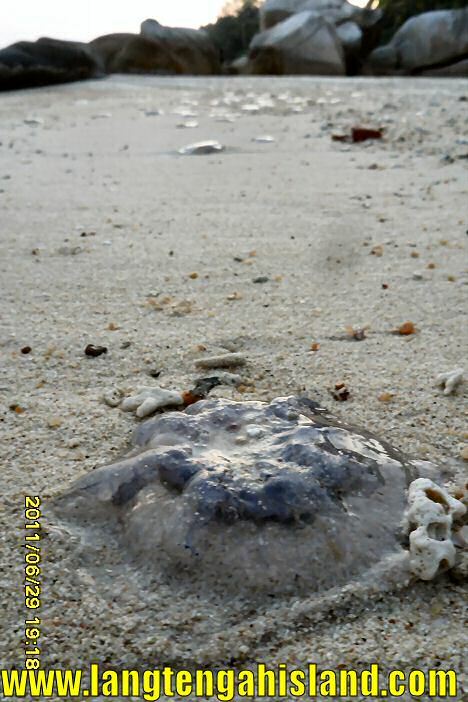 Around the corner on a beach that gets visited by jelly fishes and more exposed to the elements are Sari Pacifica and at the end of that beach d’Coconut Lagoon Resort. 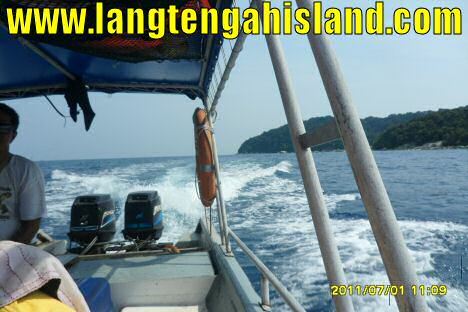 Situated in the protected Redang Marine Park from Terengganu, on the East Coast of peninsular Malaysia, Lang Tengah is accessible from the main land embarking at the Merang jetty. A partly covered boat will reach the island in about an hour or less. If you don’t want to get wet when the weather is a bit rough, you could request for a covered boat. However you will have to endure a backbreaking discomfort due to the constant hitting of the boat on the waves. Best time to travel on a calm sea is around midday with the partly covered boats that can take about 10 people. Always wear a life jacket, especially if the boat is overcrowded. The island has beautiful white beaches with very fine sand and washed up pieces of dead coral. A breathtaking underwater experience offers many fish of all shapes, colors and sizes, and even turtles or harmless sharks. You can enjoy a small jungle trek or just walk over the beach and in the sea to reach the other resorts. 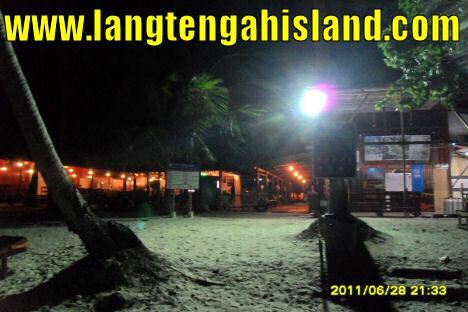 For nightlife, you better visit the neighbouring islands like Redang. 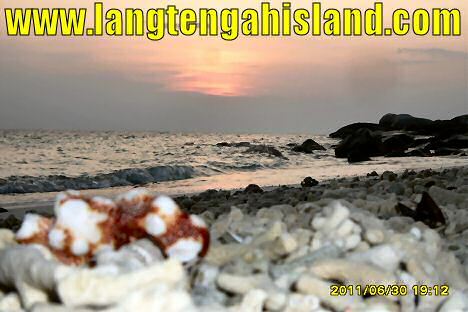 A holiday on Lang Tengah Island will offer you a laid back relaxing island experience where you order your lunch and dinner "depending on what’s fresh in the kitchen that day". 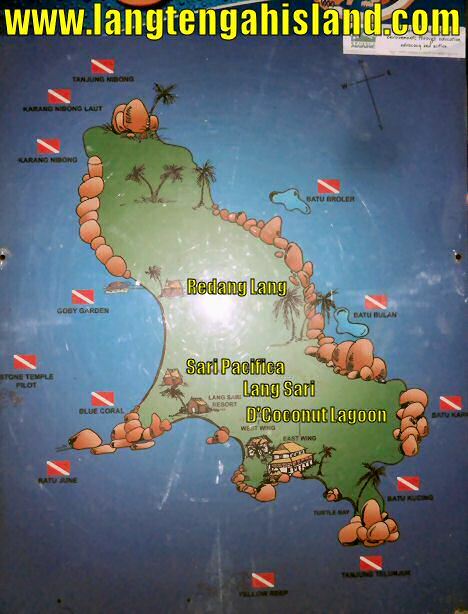 Lots of sun, beautiful snorkeling and the best diving spots in this protected marine sanctuary.